Looking "where to sell my Mercedes Benz 190SL?" Ask the Chicago Car Club! Are you wondering "where to sell my Mercedes Benz 190SL ?" The Chicago Car Club is interested in classic cars of all makes and models, especially a Mercedes Benz 190SL. 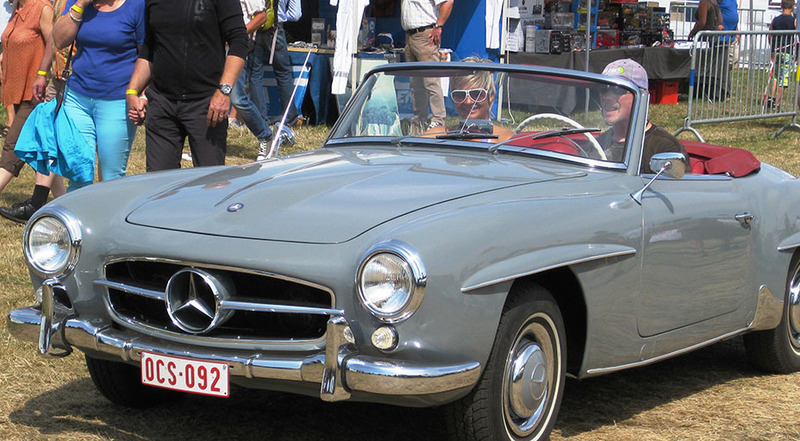 We make the process of selling your Mercedes Benz 190SL quick and painless. In just a matter of hours we will have your classic valued and, if you do so choose, turned into money in your pocket. All it takes is a phone call or electronic inquiry to get the ball rolling. In 1952, the Mercedes-Benz 190 SL garnered fame after its victory at the Carrera Panamericana road race in Mexico. In 1954, Mercedes-Benz decided to develop a more consumer friendly version of the winning cruiser. Later that year, a prototype launched at the New York Auto Show: the ‘baby Merc’ was born in the form of the 190 SL. Official production didn’t begin until Spring 1955.